We’re now 2-thirds of the way through the voting of the INFE Poll 2018! Returning for a second year in a row, the results of the INFE Poll 2018 are set to be unveiled here at ESCToday in collaboration with the INFE Network, with votes to be gathered and combined together from all of the participating INFE clubs. Club number 16 is ready to vote! ESCToday will exclusively be bringing you the results of the INFE Poll 2018 over the month to come in collaboration with the INFE Network. 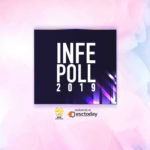 In total, members from all 24 clubs will be casting their votes and deciding their favorite entries in the second annual INFE Poll, with the final outcome of the results set to be unveiled on the 22 April. The next club set to vote in the INFE Poll 2018 is INFE Azerbaijan, but who have their members awarded their top marks to? And 12 points go to… Israel! Once again, Israel and Netta receive yet another set of 12 points, well and truly breaking away from the remaining entries in the INFE Poll. INFE Azerbaijan has been a member of the INFE Network from the early days of its formation. 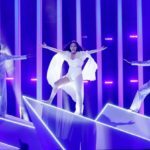 After years of activities it has become of one of the most active fan clubs in the country, promoting the country’s Eurovision representatives every year and updating the local fan community with Eurovision news. Two-thirds of the way through the INFE Poll 2018; let’s have a look at the current top 10 of the poll!